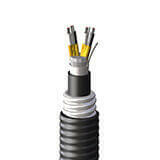 Improving the reliability, efficiency ​and sustainability of the energy market with automation wire and cable products. Onshore/offshore oil and gas production facilities are some of the most dangerous and unpredictable places in the world. 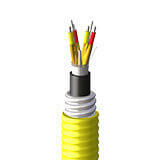 They are also the most dependent on reliable sources of electricity going through the wire and cable. Shawcor offers industry-leading mechanical and electrical performance for the major automation applications. Ensuring reliable electrical and physical performance over long-term service, Shawcor cables have a proven track record of delivering dependable performance in the most demanding environments. 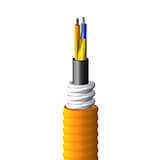 Shawcor automation wire and cable products are available in CSA 150, 300, 600, and 1 kV or UL 300V and 600V, armored or unarmored tray cable, and many types of shielding options and jacket types. Fieldbus is the process industry's digital replacement for analogue 4-20mA transmission of process variables. Depending on the current requirement of each device, up to 32 sensors and actuators are possible on a fieldbus link, with a maximum transmission distance of 1900m.